3 for $16.95 total Need more quantities? The Berries Galore® series was bred to be both fruitful and ornamental, and is ideal in a container on your patio where you can admire the lovely flowers and watch them turn into juicy berries to be picked every three to four days. 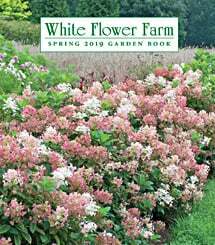 This variety has beautifully formed, large flowers of a deep rose color with shiny foliage, and the everbearing plants produce luscious, sweet, dark red berries during the entire growing season. Hardy to zone 5, plants perform well in containers, hanging baskets, or in the ground. For information on growing and care, click on Growing Guide. I received three Strawberry Berries Galore Rose plants in May 2013. The young plants were very healthy with dark green foliage. To my surprise, two plants were already in flower and one of them even had two berries on it. I decided not to remove the young berries at planting and was glad I did not. The young fruit quickly matured and was joined by many more berries. Right out of the shipping carton the plants were highly productive. With three plants, it was not uncommon in June and early July to pick seven-ten or more berries a day. The fruit was pleasantly sweet and about the size of a nickel. The blooms are a lovely deep rose shade. After about a month, the plants began throwing a small number of runners. The only negative I noticed was that the plants stopped bearing during the hottest weeks of the summer. After a couple cooler weeks in early September, the plants began to produce berries again and continued right through October. The plants are decorative enough that next spring I will order more to put in hanging baskets.